Microsoft on 17th December 2014, has shared information about Windows 10, it has said that there over 1.5million registered users who are testing Windows 10 preview and about 450,000 using the test build daily. This is a good news for Microsoft as the interest for Windows 10 is more among the masses which will result in a huge success for Windows 10 and early adoption of its latest operating system. Although there are bugs in Current Windows 10, Microsoft says it has fixed almost 1300 bugs that users have reported so far. Microsoft has also fixed most frequently occurring bluescreen crashes that were reported by testers on build 9841, build 9860 and 9879. 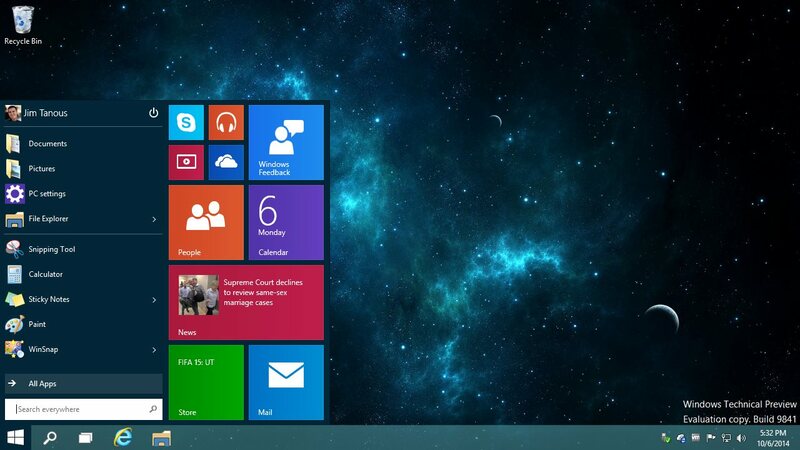 Microsoft will be working hard on windows 10 to release this next year i.e 2015. Do participate in this New Awesome Windows 10 Operating system and get use to the new technology coming your way. Can someone please tell me what happens during year two (2) do we start getting charged foe updates etc. If you have read this article (Windows 10 will be Free Almost) You will know that the users of Windows 7, 8 and 8.1 will get free upgrade to Windows 10.